This is a simple memorial in the churchyard. 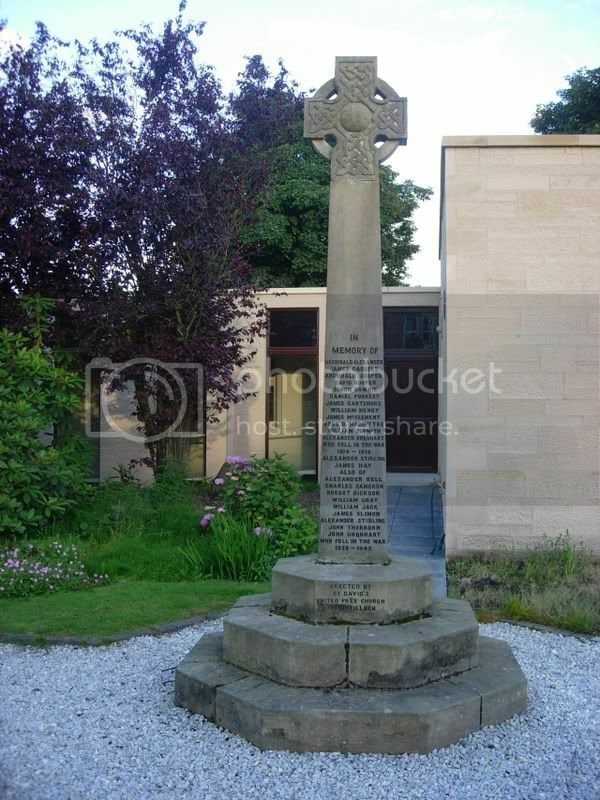 It is a celtic cross with wheel about 3m high with celtic carving on the cross and a central boss. Inscription on shaft of cross. Names arranged alphabetically by surname. Forename and surname only given. "A celtic cross erected adjacent to St. David's U.F. 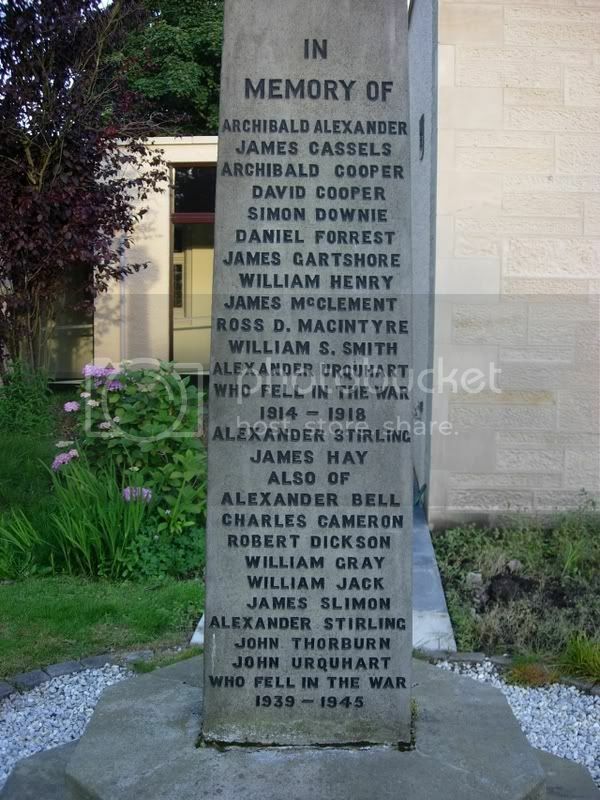 church, Kirkintilloch, as a memorial to the men of the congregation, 12 in all, who fell in the war, was unveiled by ex-Bailie Watson."